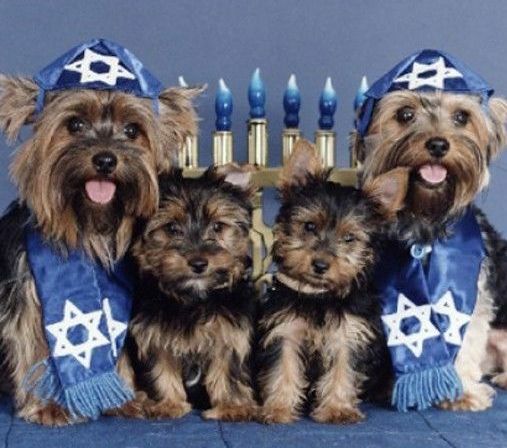 We is all ready for Hanukkah! Brings on the presents and the latkes! L'Chaim! It's time to light the menorah! Baruch atah Adonai, Eloheinu . . .